DPS has taken a number of steps to make prisons safer and we are continuing to implement new initiatives, as well as explore opportunities for additional improvements. In 2017, following the employee deaths at Bertie and Pasquotank correctional institutions, Public Safety Secretary Erik A. Hooks initiated a series of prison reform action steps focused on increasing hiring and retention, improving training for new and veteran employees, reducing contraband in prison facilities, enhancing overall security policies and practices, and improving communication. DPS has been re-evaluating and adjusting the hiring process for Prisons for more than 12 months. 2/1/19 update: Beginning January 1, 2019, all 55 facilities interview prospective correctional officers at the facility and not the region office. The goal is to create a relationship between the prison work site and applicant early in the hiring process, and to provide local prison managers with more autonomy and authority. Also, developing a targeted recruitment strategy for facilities with the greatest critical needs. 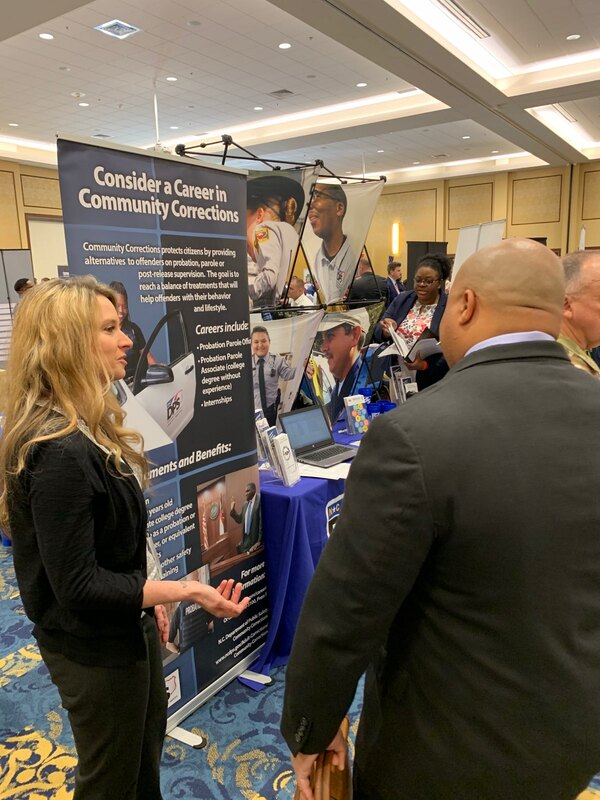 2/1/19 update: Increased recruitment efforts and improved hiring process, resulting in a 4.7% increase in correctional officer hires in 2018 versus the same period in 2017. Secured 4% legislative salary increases for all staff whose positions are based in prisons or whose work is predominantly performed in prisons. This includes program, medical, maintenance and Correction Enterprises employees. Other agency employees received increases that are the greater of 2% or to the new state employee minimum annual salary of $31,200. In addition, correctional officer (CO) minimum salaries raised to the following levels, effective July 1, 2018: CO I - $33,130; CO II - $34,220; CO III - $36,598. Developed a promotional video and audio messages of correctional officers promoting their profession aired on television and radio stations across the state. The video has aired on more than 45 radio and 12 television stations. The video is posted on the DPS Facebook page and continues to be used during recruitment activities such as job fairs. 2/1/19 update: A marketing and recruitment campaign, focusing on digital and social media, is expected in the first quarter of 2019. Addressed the salary disparity between prison program section employees and correctional officers through in-range salary adjustments. Programs staff were not included in the recent salary study for correctional officers and did not receive salary increases; however, certified program staff often assist correctional officers with inmate counts and other custody-related tasks. Reviewing exit surveys implemented in July 2018 for correctional officers to document reasons officers are leaving the agency in order to develop retention proposals. Hired a full-time military recruiter who is establishing contacts with the Department of Military and Veterans Affairs and the North Carolina National Guard to increase the recruitment and hiring of military veterans to work as correctional officers. Redeployed four correctional employees to work as full-time correctional officer recruiters. 2/1/19 update: Recruiters participated in more than 370 events since between March 2018 and Feb. 1, 2019. Established a Facility Enhancement Fund, from revenues generated through Correction Enterprises, to provide facilities an annual funding allocation to develop programs and activities to increase morale and enhance personal and professional development among correctional employees. The fund and associated policy took effect July 1, 2018. 2/1/19 update: As of December 2018, 24 of 55 prisons used all or a portion of their allocated funds to host staff recognition events, training and other staff activities. Some facilities are providing small commemorative items such as a North Carolina flag coaster, logo-engraved pens, and facility travel mugs or tumblers as tokens of appreciation. Prisons implemented the Employee Recognition Program in June 2018. Formalizes the process of recognizing an employee of the month at each facility and an Employee of the Region each quarter. Awardees are then eligible for the Employee of the Year on the state level. 2/1/19 update: Establishing a grant-funded behavioral health program to address the mental health needs of employees who suffer work-related victimization or stress arising out of critical incidents or their dangerous work environment. Required newly hired officers to begin attending basic correctional officer training at the start of their second week on the job, following one week of orientation at their work location. This requirement was implemented in July 2017. 2/1/19 update: Effective January 2019, Basic Correctional Officer Training expanded from four to six weeks, following a comprehensive review of the training program by training staff and Prisons subject matter experts. In November 2018, the Criminal Justice Education and Training Standards Commission granted the agency temporary authority to begin teaching the six-week curriculum. In July 2017, Secretary Hooks directed Prisons to work with the Office of Staff Development and Training to eliminate the backlog of officers on the job who had not attended basic training. As of early 2018, the backlog was essentially eliminated, with the exception of officers who cannot attend due to a medical issue, military or other type of leave. These staff are scheduled for Basic Training when they return to work. Added two hours of situational awareness training to the Basic Correctional Officer curriculum effective January 2018. Completed situational awareness training in early May 2018 for 238 Correction Enterprises employees to improve their knowledge of what is happening around them and how to identify risks in a changing environment. In addition, four hours of in-service situational awareness training was developed for various facility staff, with training to be completed in the current fiscal year that began July 1. Identified existing funds and purchased computer tablets for use in Basic Correctional Officer Training. 2/1/19 update: Tablets in use at all Basic Correctional Officer training sites. Met with the Community College System to discuss ways to further collaborate in the delivery of training to new hires and managers to provide a clear pathway to promotion for officers, as well as supervisory training. 2/1/19 update: Working with Community Colleges System office to develop specific coursework designed to inform and prepare current students of career opportunities within the prison system. Conducted a comprehensive review of the hiring process to provide a more efficient and customer-friendly experience. Completed an assessment of the hiring process with the assistance of a process engineer from the Department of Revenue. Implemented movement of administration of the Correctional Officer Physical Abilities Test (COPAT) from a pre-employment to post-employment assessment. 2/1/19 update: Effective Jan. 1, 2019, suspended use of COPAT until an alternative tool to assess physical ability can be established. Launched a single statewide posting for all levels of correctional officers on March 1, 2018. In addition, applicants can now search by county for correctional officer vacancies. Implemented a new Field Training Officer (FTO) program in April 2018 to provide on-the-job training for new correctional officers. The new FTO program is modeled after the prior Mentoring program and incorporates elements of the former Career Readiness program. 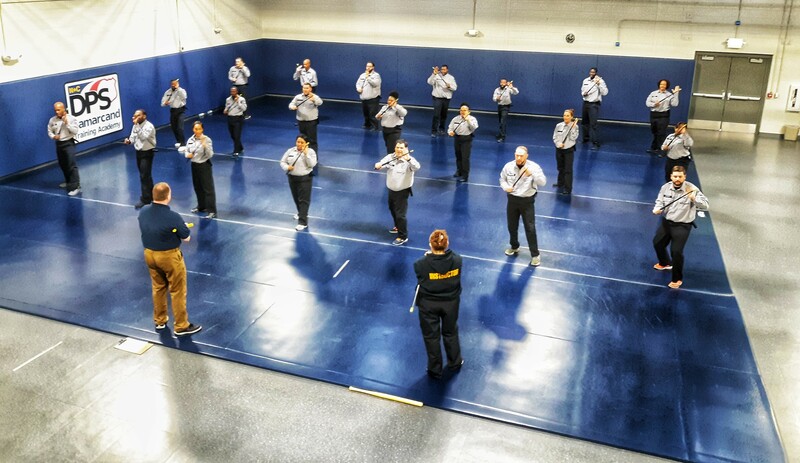 FTOs review policy, procedures and perform specific tasks with new hires and work alongside them for three weeks in the facility before new correctional officers are assigned to work a post independently. 2/1/19 update: Nearly 450 correctional officers have been selected to serve as Field Training Officers. Nearly 1,000 new correctional officers have successfully completed the 120-hour training program. Implementing use of tasers for supervisory staff at select close-custody facilities. Policy regarding appropriate use of Tasers is in place and training for staff identified to carry Tasers is complete at three of four locations. Staff approved and trained to carry Tasers are equipped with this additional security tool at three of the four pilot locations. A Strategic Plan workgroup is developing career pathways and associated training for supervisors. Specific supervisory training has been identified and prioritized. Additional instructors and classes are being identified to increase the frequency of classes. OSDT, in collaboration with Prisons administration and Human Resources, continually monitor the number of correctional officer applicants and adjusts training locations and capacity in order to enroll new hires into Basic Training in the second week of employment. 2/1/19 update: In 2018, 1,777 new hires successfully completed Basic Correctional Officer Training. Enhanced the Prisons entry/exit policy in October 2017, making it mandatory for individuals entering most prisons to undergo a pat/frisk search procedure to discourage and prevent contraband. Installed more Cell Sense towers in prison facilities, ensuring that all facilities are fully equipped with the cellphone detection devices aimed at preventing the entry of cellphone contraband. Redeployed eight existing agency positions to the Special Operations and Intelligence Unit to assist with forensic analysis of cellphones seized inside prisons as contraband, review intelligence data for commonalities and trends, and conduct investigations related to alleged gang and criminal activity. Requested prison perimeter patrols by the State Highway Patrol aimed at preventing contraband throw overs. Requested sheriffs to incorporate prison perimeter patrols by deputies. Directed Community Corrections officers to patrol prison perimeters when in a prison’s vicinity. Effective June 1, 2018, discontinued distribution of original incoming mail envelopes to inmates, excluding legal mail. Envelopes are now copied and, along with approved contents, provided to inmates. Contracted with a vendor to install Managed Access System (MAS) equipment in 2018 at two close custody prisons; anticipated completion is summer 2019. MAS is a radio frequency technology that is deployed within the facility perimeter, building locations, housing areas, etc. to detect, intercept and block the use of unauthorized cellphones. This disrupts the use of cellphones for unauthorized calls, text and data transmissions to the outside of the facility. The technology also includes drone detection alerts, providing notice of incoming drone activity. 2/1/19 update:Utilizing mobile managed access technology at 30 facilities over the next 12 months. Six assessments were completed in 2018. Planning and installing additional fencing to increase the perimeter from exterior to interior areas where people can retrieve contraband thrown over the fence. Prisons continues to evaluate other facilities for possible fencing upgrades to reduce contraband from entering the facility and to improve security. Additional fencing projects have been identified at six other facilities. Strategic planning workgroup visited federal prison facility in Butner, as well as South Carolina and Virginia state prisons to review their contraband detection methods related to fencing, netting and offender mail. Assessing which detection methods will be most effective at specific prisons, and planning pilot programs to introduce new strategies and techniques. In June 2017, requested the Governor’s Crime Commission (GCC) research best practices nationwide in several areas of prison management and provide recommendations to the Secretary. The GCC’s final report with recommendations was pr ovided to DPS in December 2017. Requested the National Institute of Corrections (NIC) conduct an independent and comprehensive review of the safety and security operations at Pasquotank Correctional Institution, as well as all aspects of Correction Enterprises’ safety protocols, following the Oct. 12, 2017 tragedy at the PCI Sewing Plant. In early November 2017, six NIC investigators conducted a complete review of the PCI Sewing Plant and two other Correction Enterprises’ plants. The review included staffing patterns, inmate-worker placement assessments, training, and operational policies and procedures. The NIC provided its report to DPS in January 2018. Revised the Offender Disciplinary Procedures effective Jan. 3, 2018. The changes strengthen the policy by upgrading certain charges to a higher level and, thus, holds inmates more accountable for rules violations and discourage violent behavior. Modified Restrictive Housing and Offender Disciplinary policies to enhance sanctions regarding assaults on staff. Click here for memo. Five strategic plan workgroups - Enhance Security Policies and Procedures, Reduce Contraband in Facilities, Improve Training for New and Veteran Employees, Increase Hiring and Retention, and Improve Communication with Internal and External Stakeholders - continue meeting regarding various initiatives in their subject areas. Workgroups include staff from various facilities throughout the state. Workgroups have completed initial review of the strategic plan framework and are refining recommendations and developing implementation strategies. Initiated and secured passage of a bill (House Bill 969) that enhances criminal penalties for inmates who are convicted of willfully throwing bodily fluids, excrement or unknown substance at an employee in the performance of his/her duties, or who is convicted of willfully exposing genitalia to an employee in the performance of his/her duties. Sentences imposed for above-named offenses shall run consecutively to any other sentence being served. Also, enhances criminal penalties for persons convicted of providing inmates items prohibited by prison rules or tools for escape. Finally, establishes criminal penalty for prisoners convicted of possessing articles or tools to effect an escape or to aid in an assault or insurrection. Provisions apply to offenses committed on or after Dec. 1, 2018. Established an intra-agency advisory committee to consider and recommend additional technology and individual devices to enhance the safety and security of Prisons and Correction Enterprises staff, prison facilities and plant operations. (Committee includes representation from Prisons operations, Adult Correction Special Operations and Intelligence, Legal, State Highway Patrol, and Emergency Management.) This committee identified the potential security advantages of adding tasers to the safety packages for correctional officer supervisory positions. 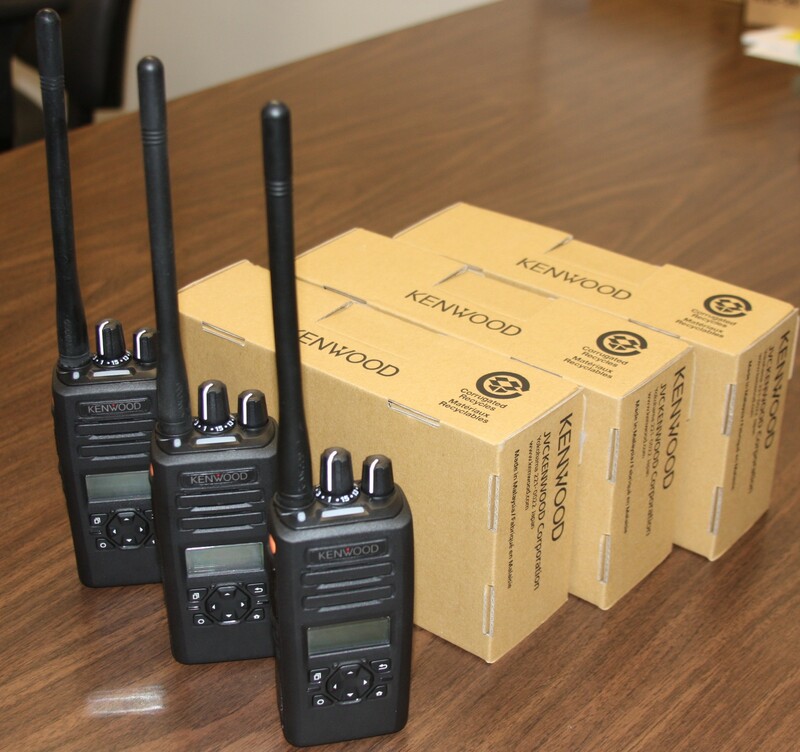 2/1/19 update: Established a standard safety package (radios, OC pepper spray, and batons) for certified staff (custody and programs) in all custody levels. 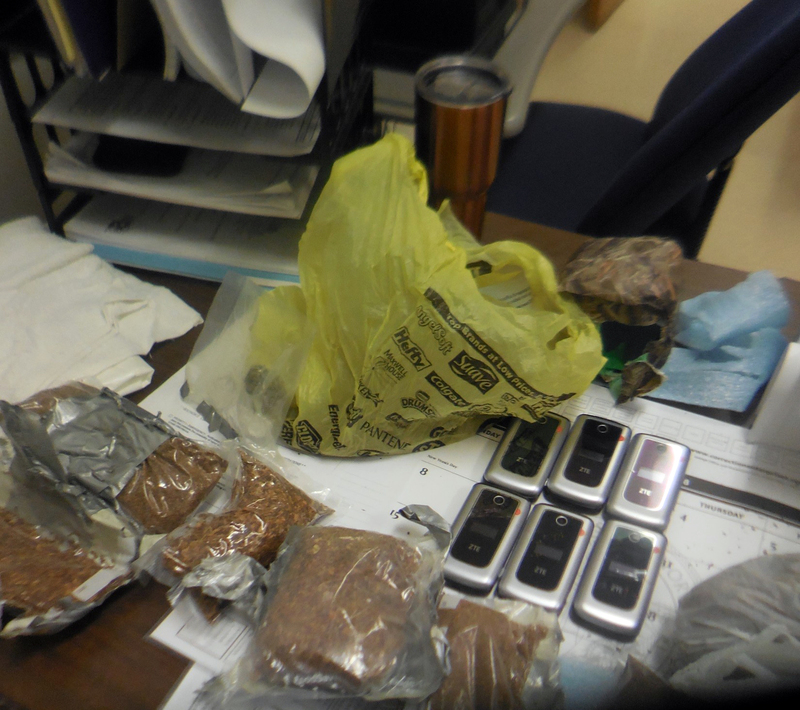 All items distributed except batons to minimum custody correctional officers. Promoting enhanced two-way communication between facility heads and Prisons management through five statewide meetings and a meeting between Correction Enterprises managers and facility heads, along with division management, to increase collaboration, safety and security. Conducted conference calls with facility heads by custody level to discuss common issues and to ensure consistent communication. Prisons and Correction Enterprises leadership meeting on consistent basis to discuss ongoing operational needs and future projects. Prisons Operations, Facility Maintenance, and Central Engineering conducting joint site visits to identify and address potential and safety security risks. Named Gary Mohr, the former director of the Ohio Department of Rehabilitation and Correction, as Senior Executive Advisor for Prison Reform. He has more than 43 years of experience – with service as deputy director for administration at the Ohio corrections agency; deputy director of the agency’s Office of Prisons; and as warden at three separate correctional institutions. Mohr is president of the American Correctional Association. Appointed a designated project manager, Tracy Little, who works with the Prison Reform Advisory Board, employees at all levels of the agency, the Office of State Budget and Management, Fiscal Research staff, as well as external stakeholders, to help ensure all prison safety action steps are achieved, as well as identify and initiate further steps as needed. Completed reviews of the Governor’s Crime Commission December 2017 report and the National Institute of Corrections January 2018 report to further outline a strategic plan for additional immediate needs and items to be implemented over time. Ordered a review and audit of the safety and security of all Correction Enterprises operations. Completed security reviews of all Correction Enterprises operations. Corrective action, including installation of additional mirrors, door alarms, and security cages and process improvements, has been taken at many Correction Enterprises locations. A list of additional cameras and fencing needed has been compiled, and installation is being prioritized and coordinated with other Prisons security projects. Created a Security Accountability Unit within Prisons. Working with the National Institute of Corrections, this unit developed new safety audit training, policies and procedures and ensured regular and comprehensive safety audits occur at all prison facilities. Completed train-the-trainer NIC training for Security Accountability Unit staff and facility staff who teach other auditors while conducting targeted security audits of three prison facilities in February 2018. An audit tool, audit policy and new training program was developed for both Security Accountability Section auditors and facility staff. Facilities were informed of the new audit tool and have access to the new audit standards on the agency’s website. 2/1/19 update: Unannounced security assessments are underway. Eighteen unannounced assessments were completed in 2018. Directed Emergency Management to work with Prisons to integrate the floor plans of the state’s prison facilities into the State Emergency Response Application (SERA). SERA is a secure web-based application designed to assist first responders, law enforcement and emergency managers in efficiently responding to hazards and threats at fixed sites. SERA will provide prison profile and process information, as well as spatially display prison floor plans, key assets and vulnerabilities for first responders. This information can be crucial for first responders when responding to an emergency. Identified $250,000 to use for integration of prison floor plans into SERA. 2/1/19 update: Floor plans of all prison facilities have been added to application. Training for prison managers by Emergency Management is scheduled for March 2019. Directed staff to complete a comprehensive review and update of all Prisons and Correction Enterprises policies and procedures. Eliminated any Correction Enterprises tool and key control policies that conflicted with Prisons policies. Revised tool and key control policies issued Aug. 14, 2018. 2/1/19 update: Fifty-four Prisons policies have been reviewed, revised and re-issued since January 2018. Additional policies are under review. Requested NIC to review and revalidate inmate classification protocols. 2/1/19 update: Data collection and analysis complete. Policy revisions, training and electronic offender management system updates ongoing. Modified classification instrument scheduled to be in place in summer 2019. Ordered a thorough review of the inmate assessment policies utilized to assign offenders to Correction Enterprises and other work operations. Working with NIC to identify best practices. Close custody inmates were removed from Correction Enterprises assignments involving cutting and/or impact tools effective June 1, 2018. Offender job assignment policy updated in October 2018. Ordered stab resistant vests for 13,000 certified employees who work in prisons. The vests are intended to be part of the daily uniform to increase personal safety. 2/1/19 update: More than 10,000 stab resistant vests shipped to 53 facilities. Orders pending for two remaining female facilities. Developed a long-range strategic plan for upgrading, purchasing and installing additional or replacement video cameras in all facilities. Completed a priority list of facilities in need of upgrades, and the Office of State Budget and Management re-allocated $1.5 million in initial funding to add nearly 900 cameras in 10 priority facilities. Secured funding in the 2018 legislative session to deploy 3,000 additional cameras over a two-year implementation period. 2/1/19 update: Installed nearly 1,150 cameras since April 2017. Actively recruiting temporary staff to assist with installation of cameras. Also, exploring possible outsourcing of some project aspects to speed deployment of cameras within an operational prison setting. Developed a plan to provide body alarm technology to all prison employees through radio device upgrades and lanyards designed as personal alarm technology for sending notification and location information in critical situations. Initiating a pilot at three facilities to test man-down technology using existing radio network. New radios with over-the-air programming capability have been purchased for all staff at the pilot sites. Visitors will be issued personal body alarm devices. Technology design in progress, with voice communication currently available and pinpoint location ability in late fall 2018. Secured funding in the 2018 legislative session to deploy man-down technology at additional facilities. Infrastructure planning and design underway at 24 additional prisons. 2/1/19 update: Pinpoint detection capability available at one demonstration site. Project manager designated to oversee and coordinate the initiative to ensure that multiple disciplines such as custody and operations, facility maintenance, information technology, radio communications, and engineering are collaborating and communicating in development and management of the project timeline and implementation. Developing a pilot at Wake Correctional Center to implement emergency response technology through existing telephone system as another notification method when staff are in distress. Identified existing funds for several security initiatives including enhancing IT security at facilities by upgrading computer firewalls, purchasing moveable towers to increase line-of-sight security within prison grounds, and providing security package (batons, pepper spray) for certified program staff. These projects are in various stages of procurement and implementation. A total of $15 million was appropriated by the Legislature to support man-down technology and increasing camera surveillance. 2/1/19 update: Security firewall upgrades deployed at 64 Prisons locations, including prisons and administrative locations, providing cybersecurity measures that didn’t previously exist. 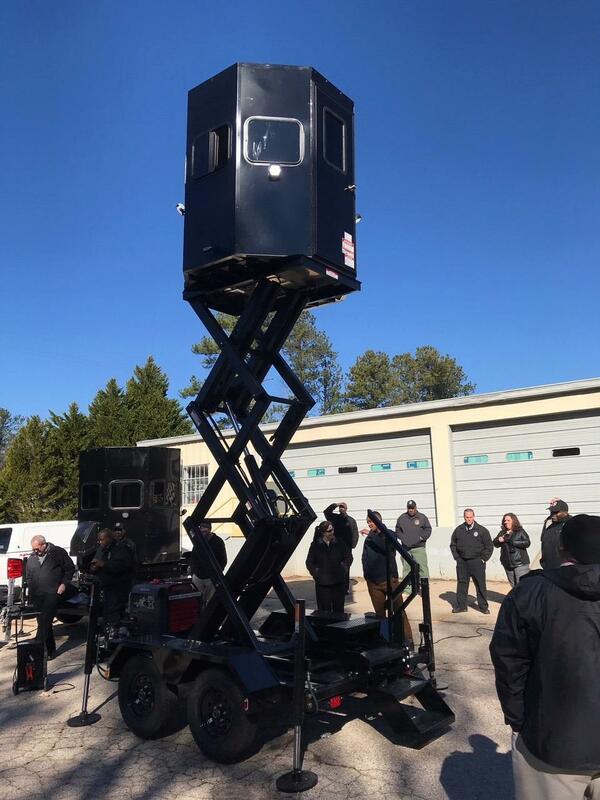 2/1/19 update: Portable towers that span 14 feet were ordered for nine close and medium security facilities. The towers will improve safety and security on facility offender recreation yards and other areas as needed through an elevated, unobstructed aerial view of the area. Towers have been delivered and training is scheduled. Improve internal and external communications with respect to prison operations. Met with State Employees Association of North Carolina (SEANC) leadership to foster better communication with employee representatives. Interim Chief Deputy Secretary Reuben Young has visited 35 facilities to meet with staff, with more site visits planned. Established a Prison Reform Advisory Board consisting of experts in the field of corrections. The board members provide ongoing expert advice on best practices for maintaining prison safety. 2/1/19 update: The board met four times in 2018, with 2019 meetings scheduled for February 5, May 22, August 20 and October 23. Met with the three North Carolina U.S. Attorney’s Offices, the Conference of District Attorneys and various law enforcement agencies to develop stronger partnerships with prison managers and to help encourage charges and prosecutions against both staff and inmates for criminal activity. Adult Correction leadership met with Conference of District Attorneys in October 2018 to discuss the new legislation and the importance of prosecution of offenders who assault staff. Enhanced partnerships for the sharing of intelligence and information between internal and external stakeholders to address criminal activity within prisons and increased the staff within the department’s intelligence unit to better manage intelligence gathering. Implementing a plan to provide e-mail accounts to correctional officers who do not have email access to improve communication channels to those employees. Conducted a complete facility search at Pasquotank Correctional Institution (PCI) by 100 trained and well-equipped Prison Emergency Response Team members to look for evidence, as well as unrelated contraband in the facility immediately following the October 12, 2017 tragedy. Shut down operations at the PCI sewing plant permanently. Suspended more than 250 offenders who fit a specific profile of convictions for assaultive crimes from participation in Correction Enterprises operations that involve the use of cutting and/or impact tools until further risk assessments can be completed. Implemented a new policy prohibiting those with convictions of a violent crime against a government official and/or law enforcement officer from being assigned to any work station utilizing or providing access to cutting and/or impact tools without expressed approval of the Director of Prisons. Increased the number of correctional officers providing security in Correction Enterprises areas and increased the number of rounds by the officer in charge within those areas until such time as we are able to conduct a full security review.